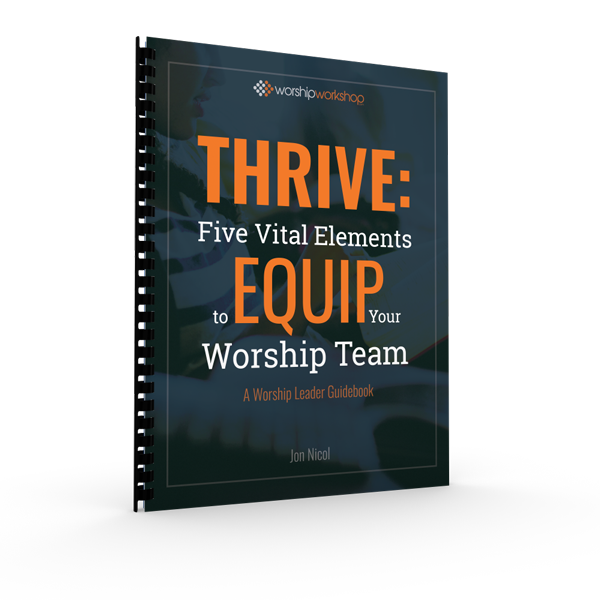 Enter your first name and email address and click the button below to get THRIVE: Five Vital Elements To Equip Your Worship Team. Want to build a stronger, biblically-based team equipping process (AND still meet the high demands of Sunday)? Teach you the five vital building blocks for a team member development process. Give you practical steps to train busy team members. Ask you coaching questions to get clarity on what your next steps are. Click this button below to get access to the THRIVE Guidebook.